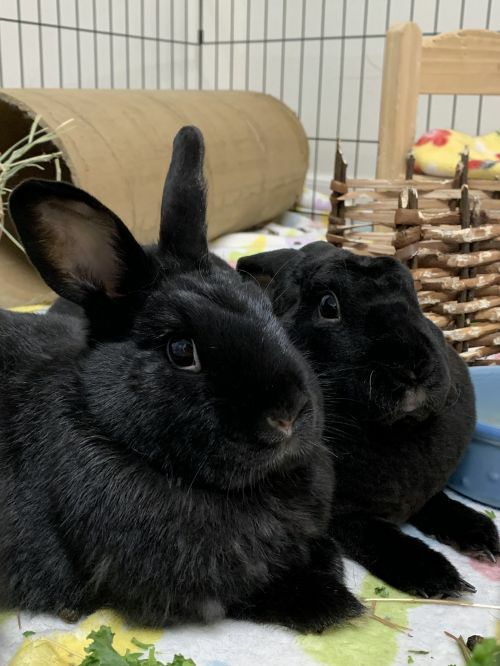 We have approximately 35-40 adoptable rabbits at House Rabbit Society. 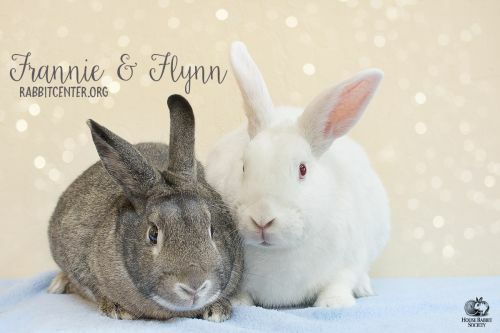 Drop in noon-5pm, Tuesday-Sunday, to meet adoptable rabbits. 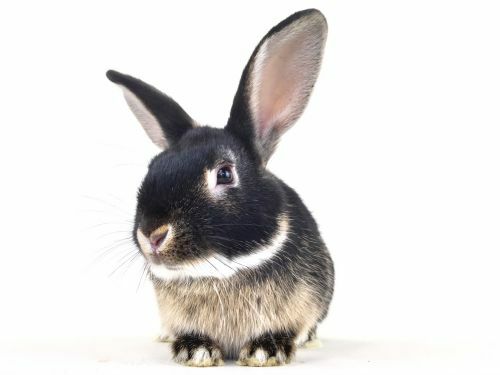 If you’re interested in a particular rabbit, call ahead to be sure they are still available. Bianca sees the world in a unique way! She has a head tilt due to an ear infection and, although we're treating it, it may never go away (which is common in rabbits) and her head may never stop being tilty. That's ok! She is a sweet girl who enjoys life and would love to have a home! She can be bonded to a friend, too! 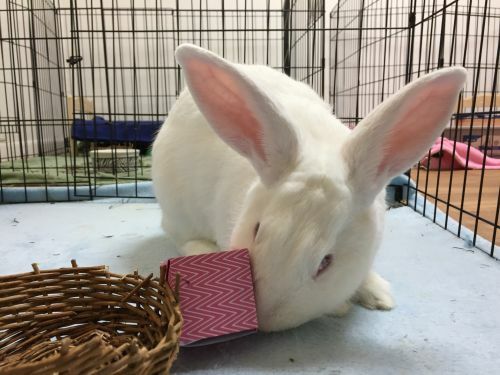 Do you have room in your home and your heart for such a special bunny? 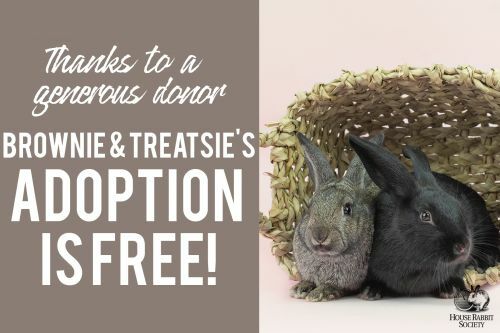 Brownie and Treatsie are just as sweet as can be, and they have the names to prove it! This brother sister team knows how to take any sour situation, mix in a little sugar and kindness and come out with a delightful, positive attitude. 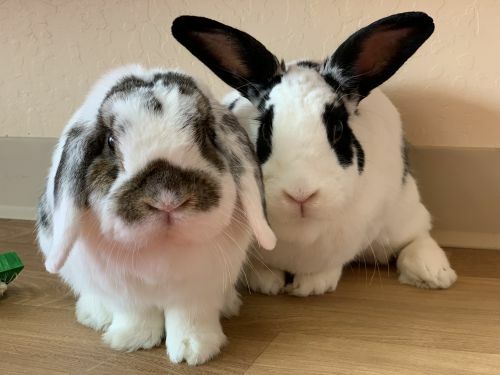 These buns enjoy being active, hanging out with human friends and nibbling delicious treats. Stop on by and see what fun these two are cooking up! Hello there new friend. My name is Calliope. I am a soft and shy bun that enjoys long relaxing days. Nothing is better than a good nap in the warm sunshine. I think sometimes the best way to get things done is to take a break with your best bunn friend. You work hard, won't you spend some time relaxing with me? 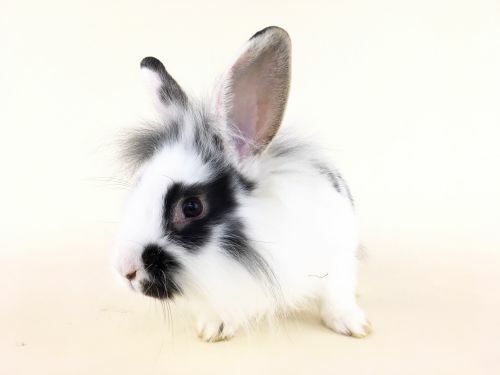 Cousteau just came to House Rabbit Society, and is ready to find his forever family! A really bright and inquisitive personality, he loves to explore and play with his toys. How could you resist those whiskers and nose? Come by and say hi soon! My name is Cressida and I am a fun, spunky girl! I love running, jumping, being active and exploring. The world is so big and amazing that I want to see it all! Often, you will see me climbing around the play sets, looking for new spots I haven't explored yet. Coming in to meet me is sure to be a good time with lots of adventures and giggles. 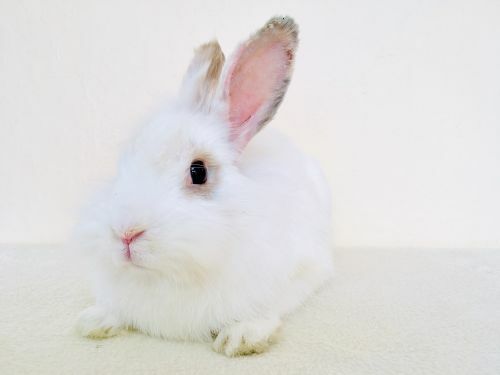 Elias is an adorable bunny with beautiful white fur, who loves to come up and boop you with his nose! Napping and eating are on the top of his priority list, as is exploring. He is currently living with a foster family, so if you're interested, give us a call to arrange a time to see him! Finley is a fine fellow. A gorgeous guy. A beautiful bun! With his spotted coat and half lopped ear, he is one dashing gentleman. But Finely knows there are things finer than fashion; like friendship! 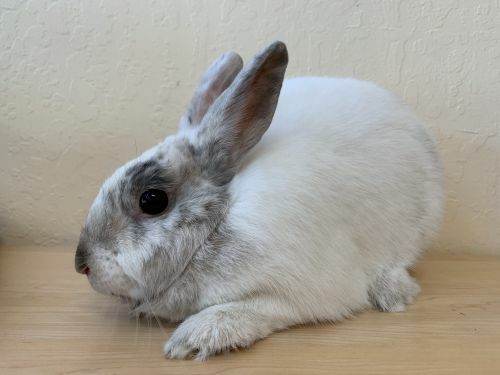 This bunny wants to meet a cuddly companion that will love his huge, happy heart and positively passionate personality. Come by and check out this cheerful cutie. Francesca has the most beautiful eyes that you would want to stare at for hours while you hang out with her! 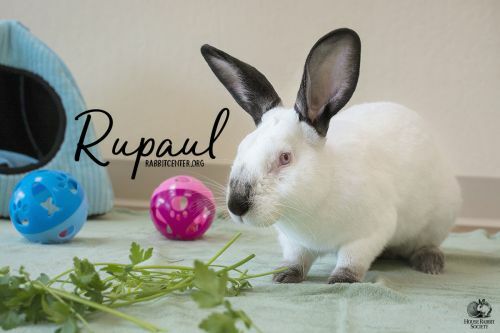 She is super sweet, hopping up to you and following you around until you pet and play. 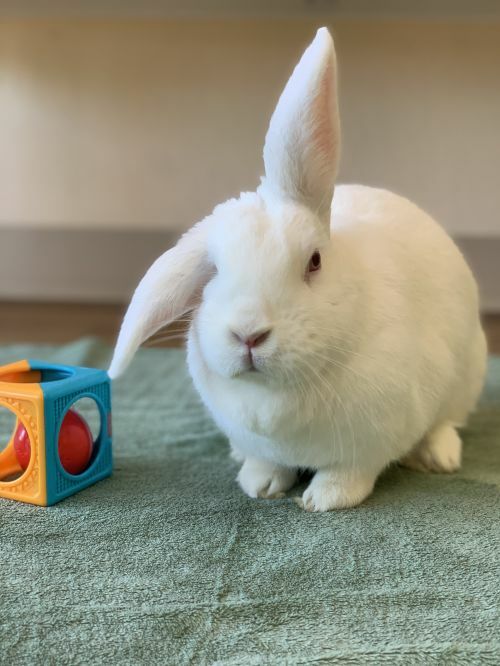 With a super fluffy white tail, and bright energy, Francesca is ready to go to a loving home that will give her lots of love and toys! 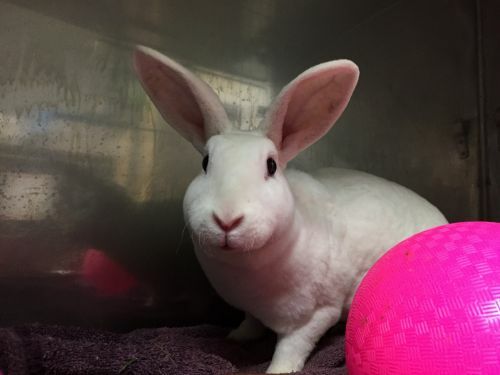 Knox is a well-mannered by shy bunny that would love spending time with you! With a fluffy coat, he loves being petted and doted on. He is currently in the new arrivals room, but will be adoptable soon! Drop by and say hi! 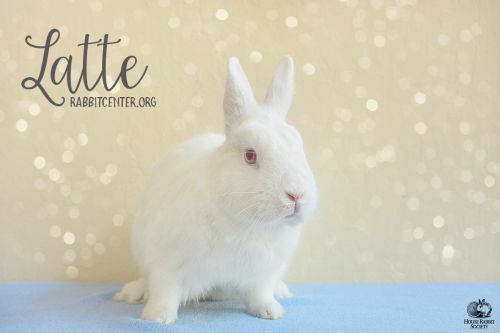 Latte is such a sweet rabbit, someone you'l fall in love with as soon as you meet her! She is shy at first, but warms up quickly and is also snuggly and friendly. Latte has a condition called megacolon, which is a progressive disease which requires daily medication. She takes her medications well and is easy to care for. If you are interested in Latte, please don't let this prevent you from coming in to ask about her! We are here to answer any questions and be a support to you throughout her life with you. We'd like to see Latte have a forever home where she is loved- just like she deserves! Latte's adoption if FREE and sponsored by her wonderful foster mom! Lenore is so sweet! She loves a soft pet on her head and back as well! Kale and apples are her favorite foods, but she's an adventurous eater. She loves Little T, and is his protector. 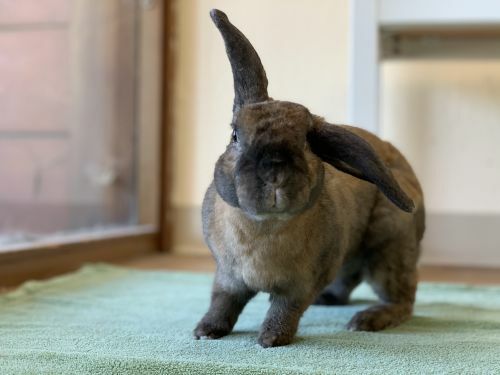 From his incredibly soft coat and floppy ears, to his adventurous, naive, approachable personality, Little T will melt your heart. He wants to understand his surroundings, be it a noisy vacuum, a dusty closet, or a coffee table book. Few things intimidate Little T.
Leon is quite a love bunny! You can see it in his big gorgeous eyes. He is always curious about what his human friends are up to and often finds ways to help support them in their activities. Need a helping paw? Leon has four! Need a cheerleader? Leon has one happy honk! Need to unwind? Leon is the cuddliest de-stressor you will ever meet. Stop in and meet him today. 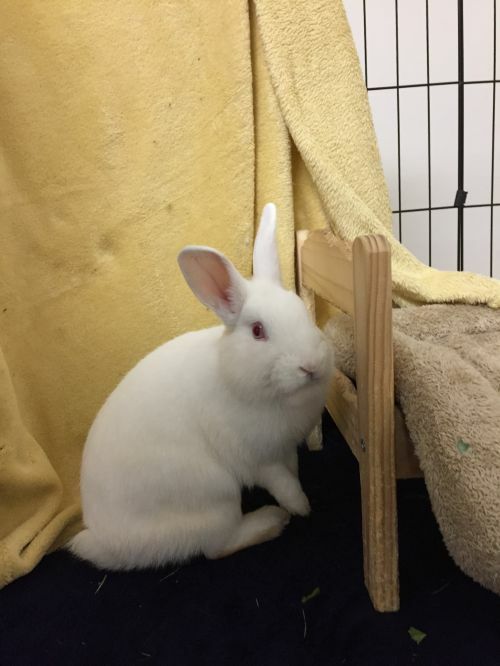 Linden is a friendly guy -when you enter his room he just runs and binkies over to you to ask for pets! And often while I am sitting here at my desk he will just go on a little tear to show off, and run real fast thru obstacles and jump vertically. Once he wears himself out, he stretches out within a few feet of me to relax. He really enjoys salad, pellets, and hay. He has three litter boxes and full run of the office with all its nooks and crannies and a two story condo to explore whenever he wants to! 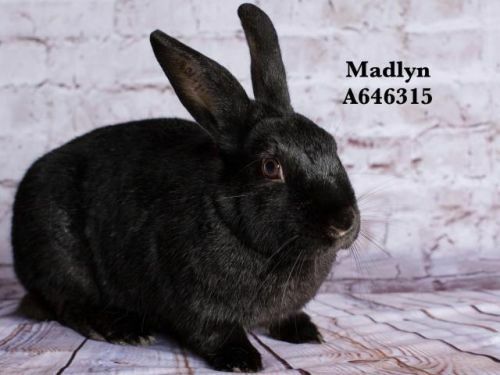 Madlyn is a funny girl with a big personality. She is an adorable, personable bunny. 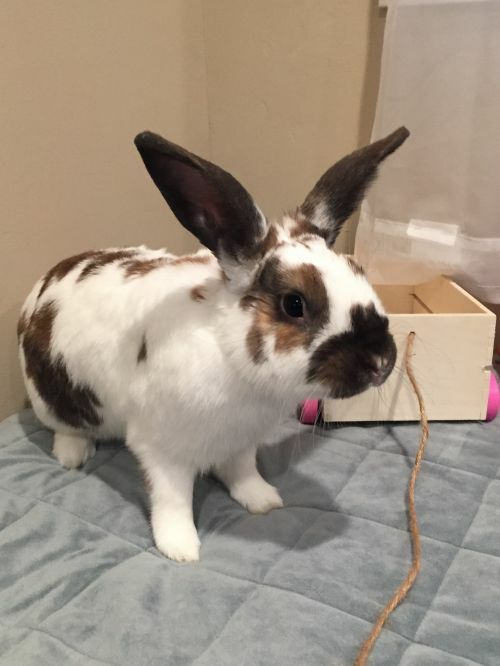 She will be an entertaining bunny for a lucky family, and sheâs very clean and great with her litter box! 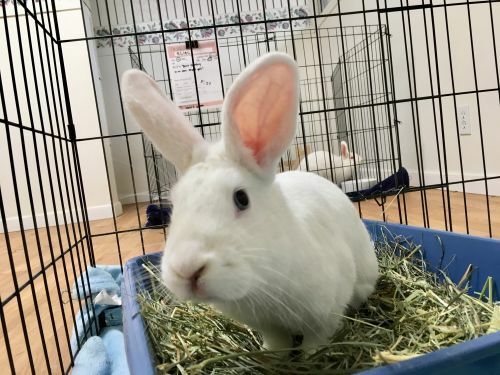 Who wouldnât want an entertaining, clean bunny as a roommate?! She likes apples, grapes, and mint and she will let you pet her when she is eating. She loves to explore, but sometimes she is a lazy bun and just wants to flop over and relax. So, what are you waiting for? Come take her home! 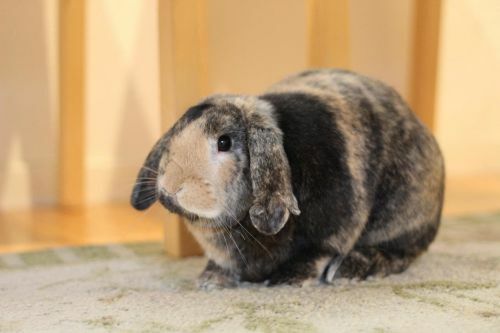 Millie isn't sure she wants to be a lop or not- sometimes her ears go up and sometimes they go down. Mostly down. But, she is consistently cute and sweet! 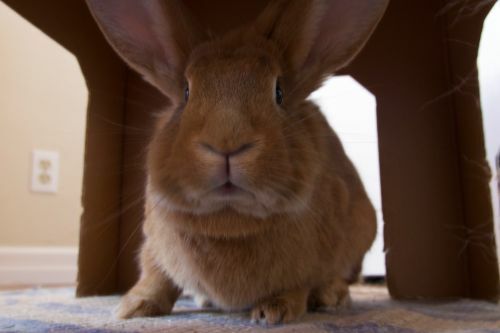 Minna has the biggest ears and the biggest personality one could ask for! She is super laid-back, but loves to be a part of whatever you're doing, especially if it involves toys and pets. 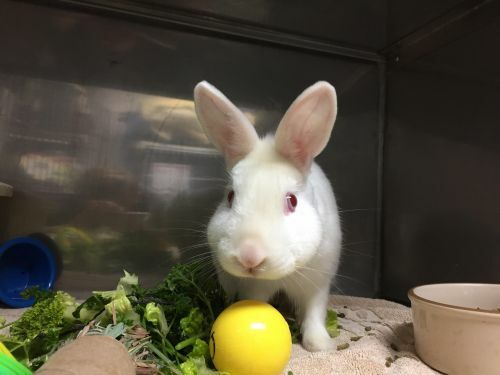 If you're looking for a bunny to chill with, she could be the one! Stop by and see her! Momo and Mandu are two of the cutest little dumplings you will ever see. Mandu is Momo's daughter and they love spending all their time together. They enjoy snuggling, exploring and, of course, nohming something scrumptious. Spending some cuddle time with this little family is the sweetest way to spend the day. Natasha is super laid-back and loves to stretch out and lounge around! With those large grey ears, you can be sure she's still paying attention to everything you're doing. Looking for a large bunny to hang out with you? Come say hi to Natasha! 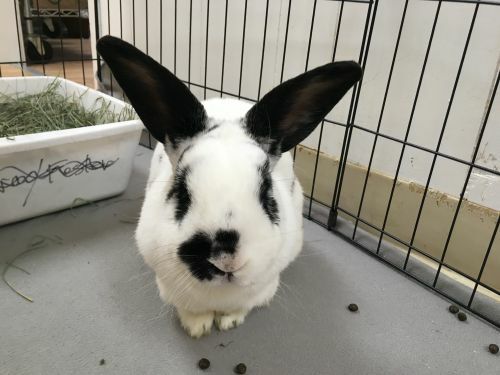 Norwood is a super friendly bunny who loves to come up to you to say hi and gets some pets! 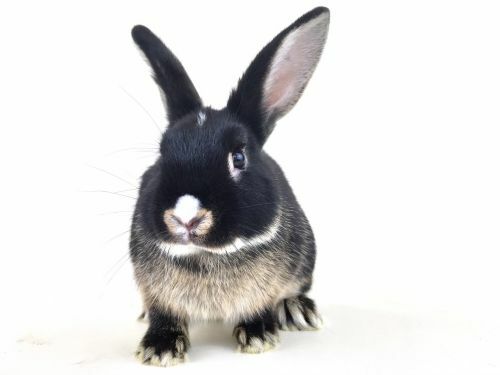 He has a super soft black and white coat with large black ears, and loves to explore and toss his toys around. He'd love for you to come by and say hello! 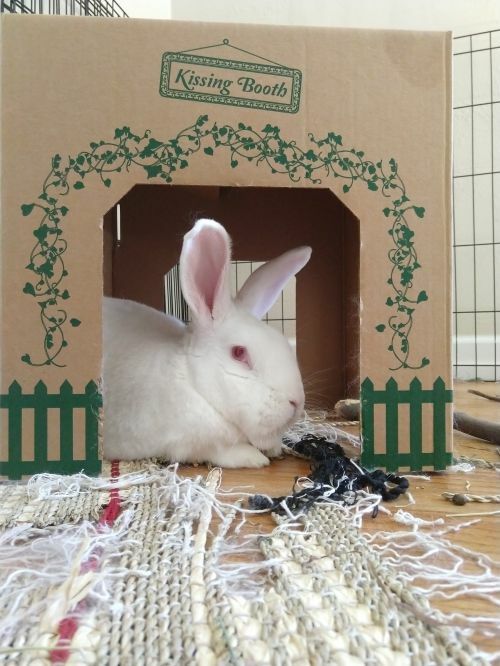 Odette is the quintessential house rabbit. She is happy, sweet and confidant. She loves exploring, and, when done, sheâll lay down beside you and ask for petting. She loves to be where the action is and wants to be included. She will follow you from room to room if you let her. She loves to be cuddled, and she'll give gentle nose bumps to her people and the resident dog in her foster home. 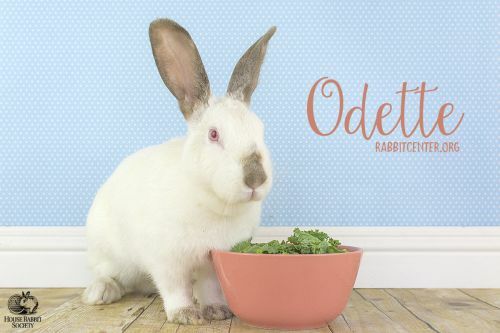 Odette so deserves a home of her own and she will be a wonderful addition to anyoneâs family. Oh, and her litter box habits are impeccable! Odette spent a month in foster with me and I couldn't have had a more perfect rabbit in our home. She adjusted very quickly to her new environment, which was a double xpen by day and supervised out time in half the house in the evening. Anytime I would walk by her enclosure, she'd run up to greet me, so I would always stop to pet her and rub her belly. 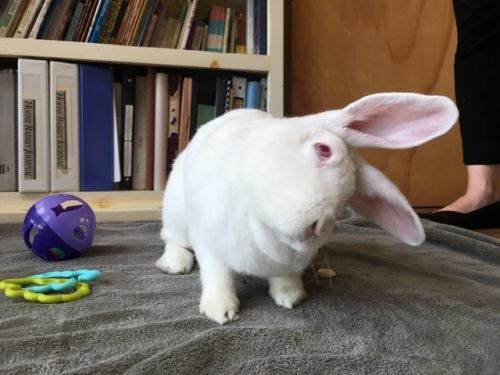 Here's what her foster family says about her: Odette loves to explore and when done will flop near wherever the humans are. She would exchange nose bumps with our dog and tolerated our mini-macaw. Odette loves to have her nose kissed. She'll also follow you from room to room to check out what you're doing. Odette loves her food, which consisted of a tablespoon of pellets, greens (cilantro, parsley, dandelion greens, green leaf lettuce, romaine lettuce, mint, etc.) fed twice a day and, of course, an endless supply of hay. 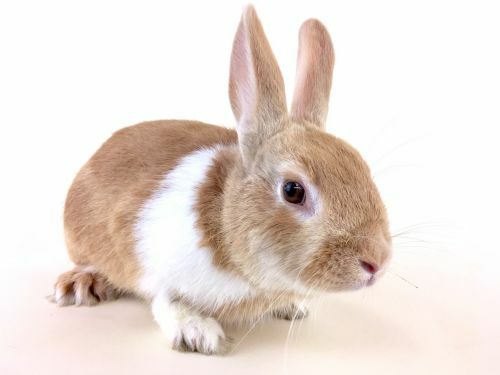 She would be a good candidate as a companion for another rabbit! 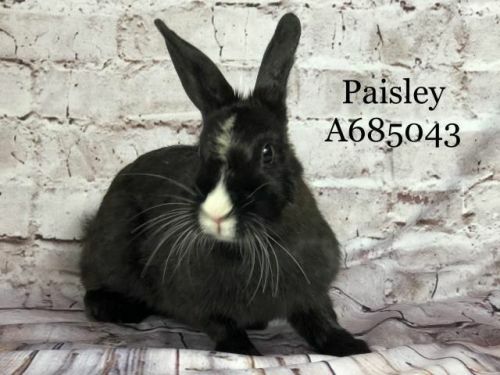 Paisley is an outgoing girl who loves to show off her space. She enjoys rearranging her bed and toys in ways that will grab your attention. She is curious to know what will catch your eye the most. Will it be the way she decorates her willow tunnel with new toothy trim? Or perhaps her blanket fluffing skills will be the thing to impress. Whichever it may be, let her know by giving her some loving head scratches and she will be much appreciative for your attention. 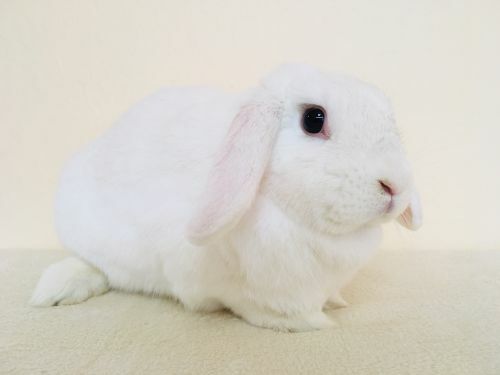 Peony is a beautiful and calm bunny with light brown fur highlighting her eyes. She absolutely loves snuggles, lounging around in a thick layer of delicious hay, and sniffing around! Come stop by and meet her! She'd love to say hi. My name is Pumpernickel and I think I see the world in a unique way. I try to always find the happy side of everything. Like some may say that a rainy day is 'dreary' but I think of it as a wonderful magical sky waterfall! And some may say that the glass is half empty, but I like to see the glass as half full of carrot! I may only have one eye, but the world is so fascinating that I want to see it all! Lets go out and see how amazing the world is together! Look at that adorable nose and chubby cheeks! You're going to want to spend all your time on the ground hanging out with River. River is very sweet, and also very clean - he loves to groom himself to keep that fur beautiful! Stop by and say hi today! Hello new friend! My name is Rory. Don't be scared. Though my name sounds like a lion's big bellowing call, I am actually a quiet, relaxed guy. 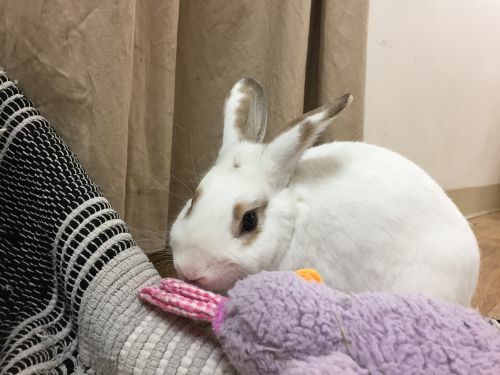 I came to HRS with bite wounds but I know with just a little time, I'll be right as rain and able to come home with you! I would love to hang out with a human that likes relaxing and giving head pets. Those are my favorite! Stop and by and say Hi! Everyone loves Rupaul! He's a special guy with a special need- he's got a heart murmur and, because of this he is not able to undergo surgery to be neutered. 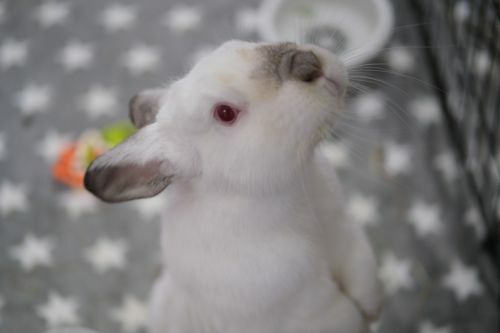 He is a mild mannered, polite guy who would love to find a forever home, but he won't be able to live with other rabbits. He is such a cuddlebug- we just know you'll love him when you meet him! Hi there! My name is Rye and I'm anything but drab and dry! I am a curious girl that loves to find new spaces to cuddle up in. I can be a little bit shy at times, but really I just like to get to know a friend very well before I fall hard and fast in love. I think there is nothing finer than snuggling up with your best human friend and spending the day relaxing. Won't you come by and see me some time? 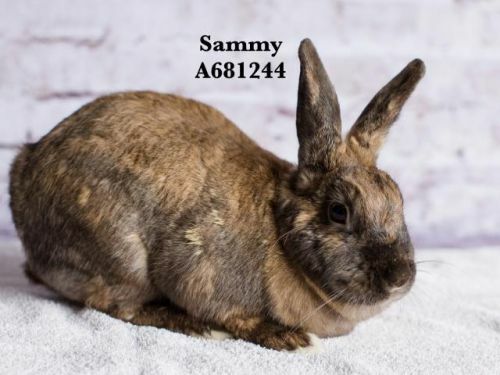 Sammy is a 7-year old girl who always tries to find the comfy side of every situation.I am a very friendly girl who is shy at first but once I warm up, I will follow you around the house as I want to be part of the family. I am a quite girl who loves to give plenty of kisses. I adore nose rubs and will kiss your hands while you pet me and I will kiss you when you are cleaning my litter pan and whenever I get a chance to get near you really. I like to kiss feet too and I will even jump into your lap if you let me. I am the fabulous Scoop! You may have heard of me. People say I one cool bunn. I have a lovely satin coat that makes me a warm fuzzy snuggler. What I really enjoy stretching out and getting head rubs. If you like cuddle time then I am your boy! Sellwood has gorgeous ginger and white fur that you would want to pet all the time! He made his own way to us at HRS - we found him in our parking lot. 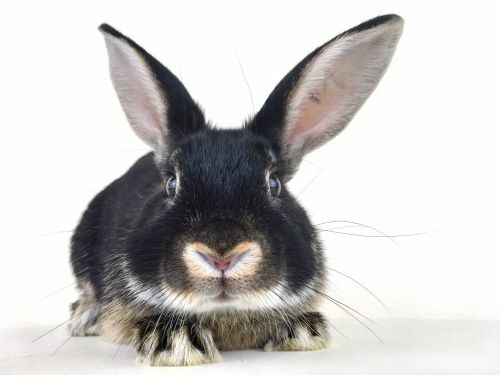 As a young bunny, he very sweet and also a bit shy. Sellwood is looking for a loving home that will help nurture his curious side and help him come out of his shell! Come by and say hi! Teddy would like me to tell everyone - treat often and generously! Teddy is a wonderful rabbit, and so handsome. He loves to play, but is fine being mellow, too. He likes petting, even cuddles in a blanket, but Teddy just needs to be extra sure that no one will hurt him. He's a little scared and wants people to pay attention to his feelings. He's a very brave special bunny. The person that gets to be his forever human is very lucky. 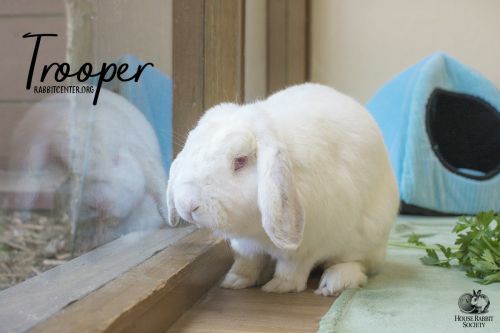 Trooper is a charismatic and strong bunny, and about 7 years old. 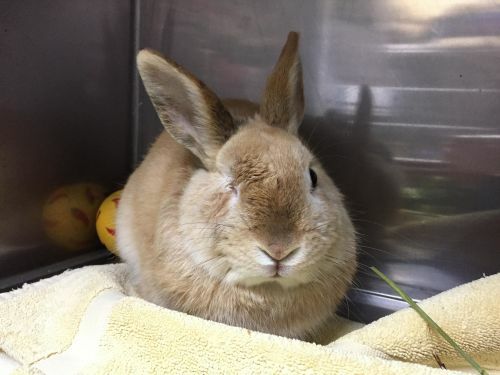 His sunny personality makes him fun bun to spend time with. He will march right up to you, look up at your smiling face, and give the biggest flop you have ever seen. 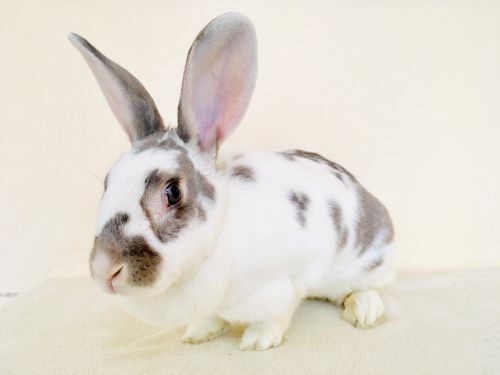 Trooper is a special needs bunny with a heart condition so he is looking forward to an extra special friend who loves giving a little extra helping hand...as well as a few extra banana treats!